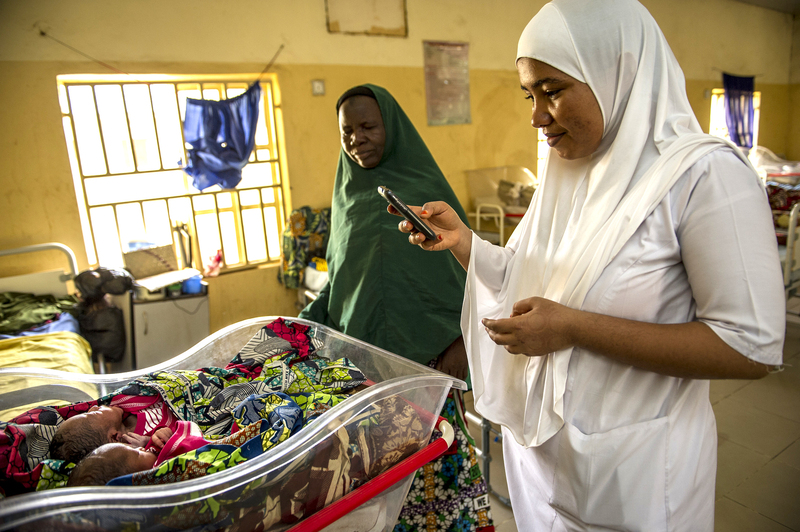 Digital health is an integral part of Jhpiego’s approach to designing innovative, effective and low-cost health care solutions to elevate quality of care. These solutions increase the impact of our work in strengthening health care systems and developing local human capacity to save lives and improve the health of women and their families. Jhpiego uses a wide range of digital learning platforms to deliver clinically relevant and up-to-date content. In Ethiopia, Jhpiego contributed to the development of an open-source, mobile-based learning platform that led to dramatic improvements in health workers’ knowledge of basic maternal and newborn health care and the quality of care they provide to their clients. 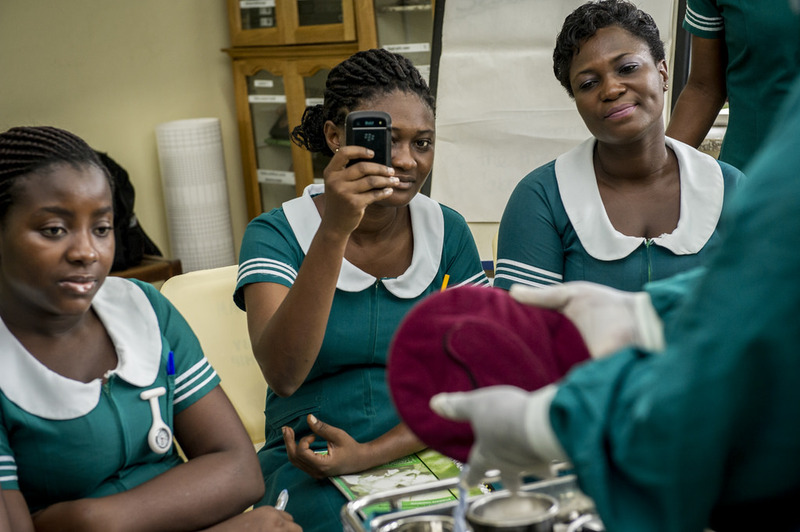 In Ghana, Hello Nurse, an interactive story app, is helping to educate midwifery students about malaria. Jhpiego develops digital tools that can help standardize care, increase providers’ confidence in their decision-making, and support prioritization of tasks and client interactions. In Cote d’Ivoire, Jhpiego developed a mobile application to give community health workers guidance on diagnosing patients, collecting routine data, and referring clients to the health center when needed. More recently, Jhpiego partnered with the World Health Organization to develop an oral pre-exposure prophylaxis implementation tool for mobile devices. Strong data collection and patient-tracking systems are the backbone of robust health systems. In Lesotho, Jhpiego developed a mobile application to help identify people with active tuberculosis and link them to care and treatment. In Botswana, a mobile application used in a demonstration project looking at the use of self-collected samples for HPV testing has helped ensure prompt provider-to-client communication of test results, linkage to further evaluation and appropriate treatment, and program management. Jhpiego has implemented various electronic information systems for collecting, analyzing and sharing health information. In Mozambique, we supported the development of eSIP-Saúde, a human resource information system that helps manage and ensure training for more than 40,000 health workers. In Pakistan, through the Maternal and Child Health Integrated Program, we helped develop an information management system to support routine immunization. An integrated mobile messaging platform sent SMS (text message) reminders to caregivers, vaccinators, and community focal persons. Jhpiego uses a socioecological lens to determine the multifaceted individual and environmental factors that influence human behavior, leveraging technology to reach populations with the information they most need. In the Philippines, Jhpiego created a Facebook page to encourage adolescent and youth reproductive health advocacy, and supported a 24-hour teen health hotline. In Tanzania, we developed an SMS system to help educate clients about voluntary medical male circumcision (VMMC) and where to find the services. Digital tools play a key role in supporting standardized assessments of facility readiness, client perceptions of care, and timeliness and appropriateness of service delivery. 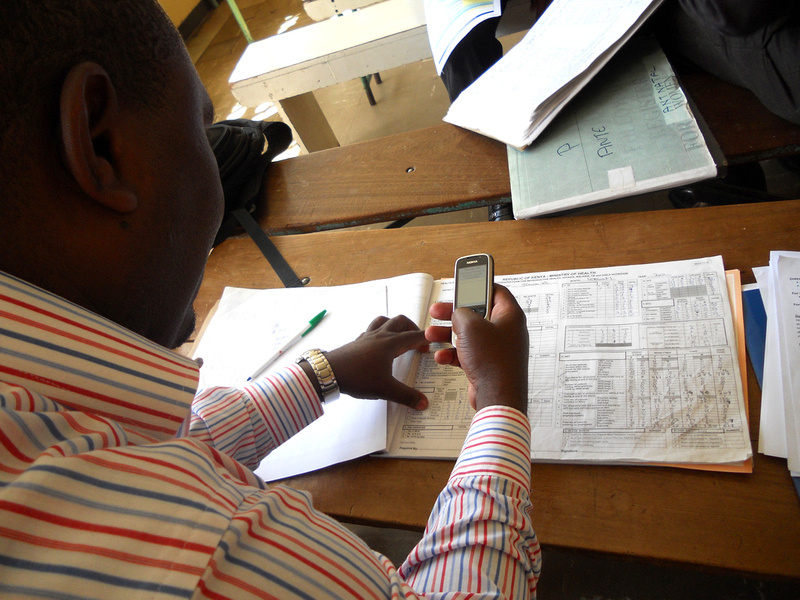 To support implementation of VMMC, for example, Jhpiego’s Project IQ developed two CommCare-based mobile applications: the External Quality Assurance app, which external evaluators can use to record facility- and provider-readiness data and summarize their findings; and the Continuous Quality Improvement app, which supports routine self-evaluation by VMMC facilities.